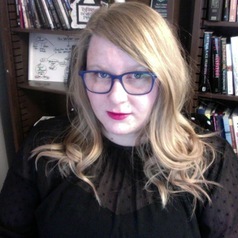 Heather Suzanne Woods is Assistant Professor of Rhetoric and Technology in the Department of Communication Studies at Kansas State University. Her research explores technology, digital media, and rhetorics of innovation. Her most recent research projects include an investigation into meaning-making through the circulation of the hashtag diacritic (#); analysis of reproductive technologies and mediated, collective loss; and an exploration of femininity and persona in artificially intelligent virtual assistants (AI VA) such as Apple’s Siri and Amazon’s Alexa. Heather is co-authoring a book-length manuscript on the rhetoric of meme culture. She is published in Critical Studies in Media Communication, Feminist Media Studies, Present Tense: A Journal of Rhetoric in Society, and Teaching Media Quarterly.